When working with support cases the ones that are related to Overprint parameters in PDF are always very likely to surprise customers. This is due to the fact that the Overprint rules in PDF are - compared to other rules, let's say for transparency - much less intuitive. I think this is because Overprint was invented for PostScript and nothing has been changed in these rules for PDF. That means Overprint was defined when technology was much less powerful than today and its rules had to take into account what could be reasonably expected from an output device in those days. Today we are used to technology that tries to work as much as possible according to our expectations - a requirement that has nothing to do with the Overprint world. To the opposite, we have to understand Overprint if we want to understand all phenomena in print output. 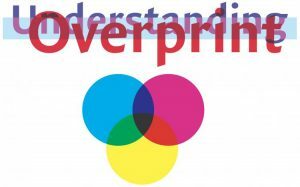 For print output, Overprint has to do with creating separations, the (usually 4) different color plates (colorants) that are used in the printing machine to specify where and how many of each color goes to what areas of the substrate. These colorants usually are Cyan, Magenta, Yellow, Black. The device that creates these separations (the RIP) reads instructions from the layout, separates them into colorants (print colors), creates raster images for each of them and sends the final raster image to the plate making (or digital printing machine or else). Now in the RIP, when one object overlaps another object and both paint in the same colorant, it is not clear what should happen: Whether the object painted first wins, whether the second wins or something in between happens. An old RIP can't do complex calculations to derive a result color from both values (background and foreground color) and then you usually want the foreground object to win and that is exactly what happens: the last painted object removes all previously painted color in any colorant (it knocks out). However, this causes a problem for the printer when black objects are in front of other objects, say black text on a light blue box. Then, the light blue color behind the black text would be removed so that white would be right behind it. And that is almost impossible to print: You can't print the black color at exactly the position where the light blue has been knocked out due to registration issues in the printing machine. You would almost always see a white line next to the black text which would make every customer crazy. And to keep customers sane, the printing industry invented the overprint parameters so that the black text could be set to overprint. This means that the black text would only remove any color in the black colorant, any other colorants would stay and so the light blue box would remain completely filled. I will explain the overprint parameters below. But for now, I want to emphasize that Overprint is a production tool and not a design tool. This is different for transparency which can result in almost the same visual results. You can see this in Adobe Acrobat: In order to accurately simulate ALL overprint parameters on screen you have to use the Output Preview - which is off by default and for some PDFs the appearance changes dramatically when you switch it on. But transparency will always be accurately displayed. Let us have a closer look into how you can encode overprint behavior in a PDF file. In fact, it is pretty easy: There are just two parameters where each can be ON or OFF. First there is the overprint parameter itself (OV) and then there is the overprint mode parameter (OPM) which is also called Illustrator overprint mode (I guess that Illustrator was the first application that allowed to apply that parameter to objects for output.) In which way do these parameters modify output - according to the PostScript/PDF rules? OPM has an effect only if OV is on. If OV is OFF, then every object that is painted removes any previously painted color in the same area as can be seen in the topmost image. If OV is ON and OPM is OFF, then every object that is painted removes any previously painted color in the same area and in the same color space. That means if a CMYK object is painted, any previously painted objects in CMYK would be knocked out, but previously painted spot color objects would be overprinted. The same would work the other way around, when spot color overprints CMYK. Both are shown in the two images in the middle. If OV is ON and OPM is ON, then every object that is painted removes any previously painted color in the same area and in the same color space - but only if it has more than 0% in the respective colorant. That means the Cyan text knocks out every previously painted Cyan objects but previously painted Yellow (and Magenta or Black) remains (is overprinted) as can be seen in the image at the bottom. Assume that the cyan text above would be color converted to match the color space of the printing machine using ICC based color conversion. In many cases the result would then also use small amounts of Yellow (plus Magenta and Black). This means that all of a sudden it would not overprint the underlying yellow box anymore but would knockout even if OPM is ON. The result would be very similar to the two images at the top. Even more surprising is this effect when it occurs after transparency flattening. Why is that? Overprint is frequently used by transparency flattening engines. This makes a lot of sense for spot colors since - as we have seen - they can easily overprint most other objects. However, when then the spot colors are converted to CMYK every such objects knock out any underlying objects. And that in many cases changes the appearance of the whole page dramatically which has caused lots of confusion and production problems. That means you should be very careful with any transparency flattened PDF using spot colors. If you need to convert spot colors into CMYK it is likely that you will see unexpected results. Whenever possible make sure that first spot colors are converted to CMYK (if you have to) and then transparency is flattened. The color conversion engine can be set up to keep all zero percent colorants, thereby avoiding that they knock out after an ICC based color conversion. (This can be set up via „color conversion policies“ - usually it will happen automatically, because the parameter is set by default). When spot colors are converted to CMYK, usually OV and OPM are automatically switched ON for the converted objects (you can turn that feature off if you need to). The Process Plan "Convert spot to CMYK (for transparency flattened PDFs)” resolves the issue with the transparency flattened PDF with spot colors: It first converts overprints "back" to transparency, after that it can safely convert spot colors to CMYK and finally it flattens transparency (again). PS: In the title image "Understanding" uses C=75 M=75 Y=0 B=0, the light blue bar uses C=25 M=0 Y=0 B=0 and "Overprint" uses C=0 M=100 Y=25 B=0. The three objects are arranged from back to top in this order and are all set to OV and OPM. You should now be able to calculate the colors that you actually see.